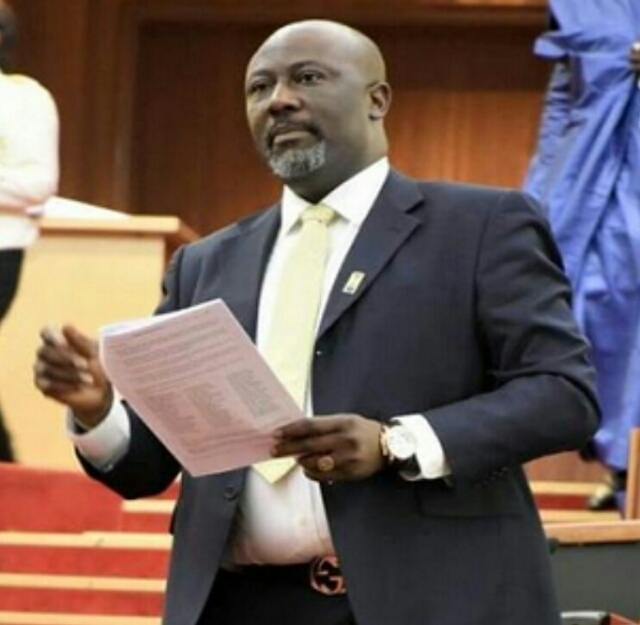 Senator representing Kogi West, Dino Melaye, has threatened to sue the Inspector-General of police, Ibrahim kpotun Idris for criminal trump-up allegation, undue harassment and intimidation over the allegation of conspiracy and illegal possession of fire arms preferred against him. He declared on the floor of the upper chamber on Wednesday that the two criminal suspects who doubled as his accusers have escaped from detention. This development was sequel to an adopted order 43 raised by the embattled senator. In his explanation, Melaye said he was told this morning by his loyalists that there was an incident of jail break in Kogi state. And that the two suspects standing trial who had accused him of giving N430,000 to them and further equipped them with illegal fire arms have escaped from detention. The lawmaker pointedly accused the police of masterminding the jail break to enable the suspects to escape. He said it was a panicky measure by the police following the panel constituted by the senate and the intervention of the international community in the matter. It would be recalled that Melaye was due for arraignment today before the Federal High Court, Lokoja, capital of the state. He said the Force Public Relations Officer, FPRO, Jimoh Moshood of the Police Force Headquarters, Abuja had threatened that the police would declare Melaye wanted if he fails to appear before the court today being March 28. However, in the absence of the suspects in court, police was said to have asked that a warrant of arrest be granted against Melaye.